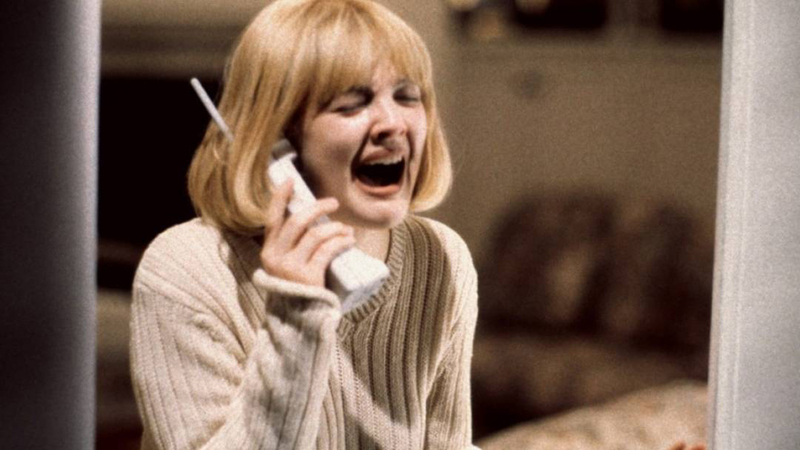 Wes Craven’s Scream feels like it was made yesterday and tomorrow simultaneously. It is firmly rooted in the past and it makes twenty years ago look like another universe sometimes. However, the cleverness of the plotting, the snappy dialogue and the pure exuberance of Wes Craven’s craft make it seem like a timeless horror. Horror may be the hardest genre to hit a homerun with and it is certainly harder when it is a horror comedy. Both horror and comedy are like musicals, they are the purest expression of the cinematic form in some way because they all reach into our basest instincts. What makes you scared, laugh and happy. Wes Craven made his name in the horror genre, but he had a clear, unabashed love of cinema. Scream hit theaters when I was ten so it feels like the kind of movie that has just always been there. I must have seen it twenty times as a kid, but revisiting it after all these years it is funny the things that stick out to me. There are so many small visual gags in the film that you lose count at some point. My favorite is from the first scene of the movie, which to this day sits as one of the best openings in modern cinema. The moment comes when Drew Barrymore’s character puts popcorn on the stove. 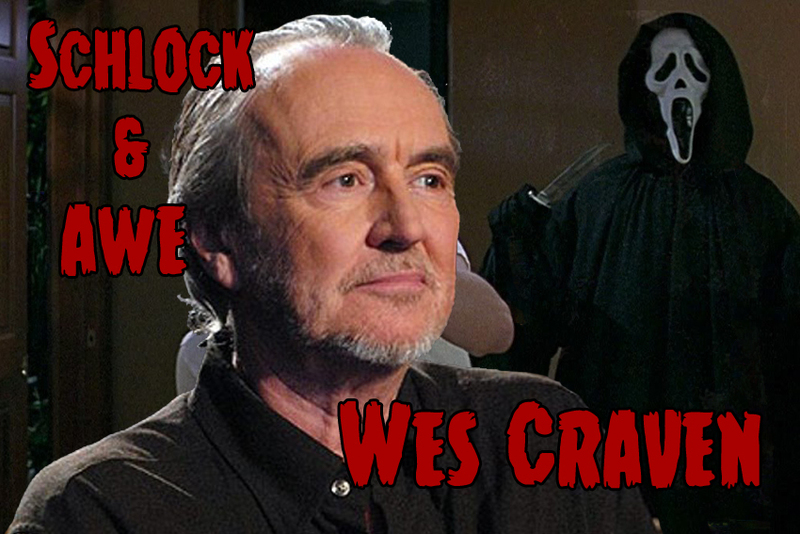 Wes Craven is winking at his audience in a very clever way that feels like something Hitchcock would have done. As the audience is settling into their seat, digging their hands into the greasy popcorn, there is the film’s supposed heroine doing ostensibly the exact same thing. The audience is in a dance of death with her that is linked by the shared experience. What struck me after all these years is how funny the film still is while still remaining genuinely scary. The perfect example of this is Henry Winkler’s principal. He has three scenes and two of those are comedic. The scene where he is killed, though, works so well because Craven understands that in order for the horror to work we need to empathize with him and we can’t be laughing at him. Perhaps the most refreshing part of Scream is how Craven employs very little gore. Though there is plenty of blood in the film, it feels altogether of a piece. There is no excess gore here. The final scene is bathed in blood and somehow it feels completely organic. Seeing it in today’s hyper-stylized gorecentric horror scene it is a nice treat to see a film that is not minimalist in approach, but certainly more rooted in reality. There are things that date the movie, but they feel like comical homages to an age when a cell phone was referred to as a “cellular.” It also may be the whitest movie I have ever seen. I don’t know if there is a single person of color in the entire film, which is quite problematic from today’s standards. These are quibbles from today- hindsight is always 20/20, so it isn’t much of a complaint, more of an observation. The film exists as a meta-textual experience that must have seemed like a bomb dropping in 1996. Kevin Williamson’s script is written by someone who is obsessed with the structure of films. The script is dense with filmic references and becomes not just a critique of horror films, but of the craft of screenwriting. The screenplay is one that should be read and reread by burgeoning screenwriters. It follows the rubric of a traditional script but doubles back upon itself and becomes a film that works as an entry in the genre while reinventing it at the same time. There is the great line towards the end of the film when one of the two killers says, “everything is a movie.” The line is funny but oh so true, particularly from today’s vantage point. We exist in a society in which everything literally is a movie. Our lives are constantly documented whether we want it to be or not. Everyone is always acting, we are all wearing masks and playing the version of ourselves we want people to see. This is perfectly reflected in the central cast members. There is the innocent girl, the hot girl, the goofball, the unhinged guy, and finally the overly-aggressive boyfriend. The actors are all portraying the roles and then playing the roles inside the film so we again have a case of the script and the world within the film doubling back upon itself. Craven made what I believe are three genre-defining films of their era. The Last House on the Left is a pitch black horror that’s level of depravity could only come out of the 1970s. Nightmare on Elm Street is the perfect encapsulation of the 1980s. Scream is the 1990s in every way possible, but it also blazed the trail for the next twenty years of horror. Not a lot of directors have been able to do that. Craven made some really great films, but Scream, to me, is the one that demonstrates every ounce of his talent. His was a talent that we rarely see. He has been and will be missed dearly, and Scream may be the finest way to remember him.